Guest blog by Ms. Kelley Ellis My husband and I are native Houstonians. 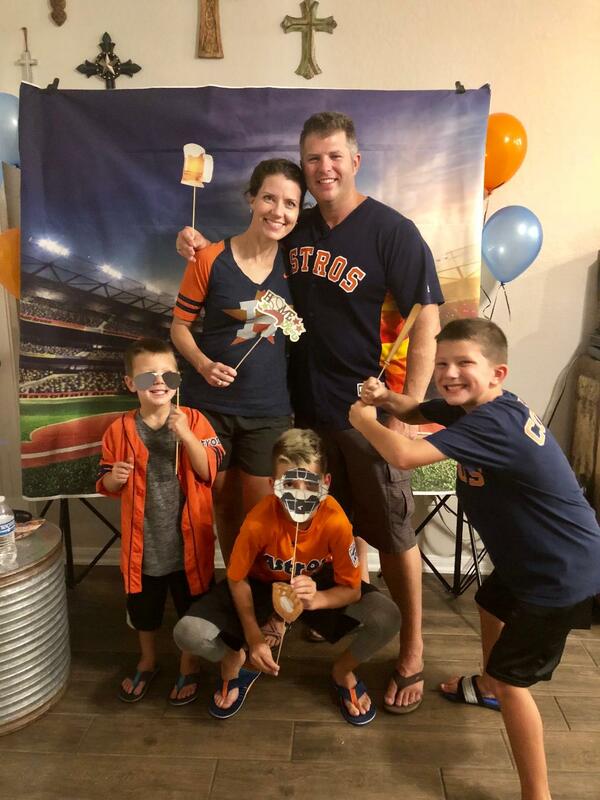 We were kids in the 80’s when the oil market crashed, and although neither one of us had parents in the oil business to be impacted directly, like all families in Houston, the economic downturn trickled into our families’ realities. So when we got married soon after I graduated from Texas A&M at Galveston in 2000 with a degree in Maritime Systems Engineering as oil prices climbed back up from a 1998 low, we knew that my job would never offer the stability that his job as a firefighter offered. A layoff for me in 2004, when the company I worked for was shuttered due to a liability with asbestos, cemented our knowledge that while my job would offer a higher salary, this salary came with a caveat of stability. Nevertheless, after a few stints transitioning through companies, soon enough I was fortunate enough to join a growing firm that offered some stability. By the beginning of 2014, the two of us had grown into a family of 5, and like many families supported by the Oil and Gas industry, things were financially easy. Years of end-of-year-bonuses meant we could pay down debts, make improvements on the home we had bought in 2006, and take our boys to Disney World. My husband had expanded his career and gone to graduate school, which we were able to pay for without student loans. We had season tickets for the Texans, supported our favorite charities, and participated in hobbies (in what little spare time we had as full time working parents) with minimal conversations about how we would absorb the impact on our family’s financial situation. At this point in our lives, we were also spending approximately $25,000 a year in full time childcare for our 3 boys. 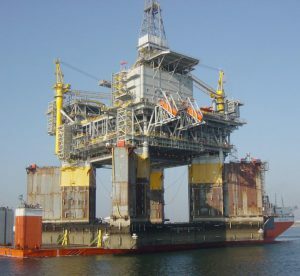 In the spring of 2014 my company signed a big EPC (engineering, procurement, and construction) contract for a new deepwater offshore platform that seemed like it would last for a few years, and the company was bought by a new owner at the beginning of October. Things were looking great. By the end of 2014, oil prices had plummeted, the huge EPC contract had been cancelled, year-end bonuses disappeared, and the writing was on the wall. Our first layoffs happened in March of 2015, and every month brought more bad news about work prospects, oil prices, all while my co-workers were laid off bit by bit. People I had spent 10 years with, collaborating, learning, laughing, complaining, eating, and sharing life with, usually more time with each other than we were with our families at home, who had become my work family, were suddenly gone. We all taught each other about the corners of the world from where we came and a workplace place once filled with the noise of a busy beehive full of engineers, designers, and associated support staff was quiet and still, and growing in its silence monthly. Each time the word got out that people were being let go that day, we all fretted at our desks, wondering if our phones would be the ones to ring next. And when the day would end, and you were one of the ones left standing, you were filled simultaneously with relief and guilt. By January of 2016, the company was perhaps half the size we had been at the end of 2014. I came home from work after a particularly brutal day of layoffs and told my husband I wanted to sell the house and move. I knew my days were numbered and the prospects of finding a new job at the same salary to support our family were slim. 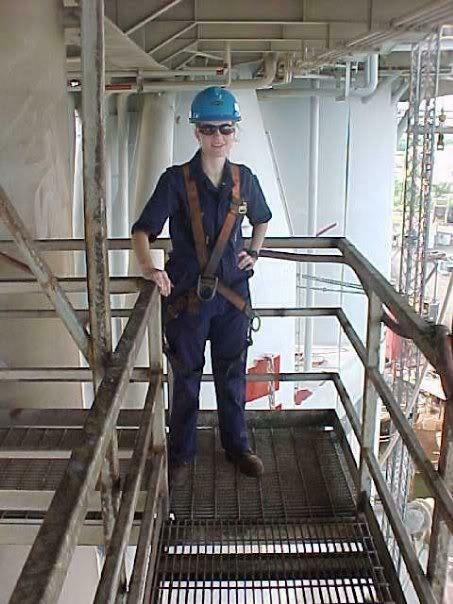 My degree and experience is 100% focused on engineering especially as it pertains to the world of offshore oil and gas. I knew when my day came, I’d have to reinvent myself, and the difficulty of that reinvention would be on a logarithmic scale if we remained in our current house. Our home, like many homes in the Houston area, had only increased in value, and it would be wise to cash out our investment and put it into a smaller home with more energy efficiency. We made the decision to let our boys finish out the school year and move that summer. Thankfully, our home sold in a matter of days once we put it on the market, and we were able to put money into a rainy day fund, and put a large amount down on a new energy efficient home where we can pay our bills without my engineer’s salary. At the same time, my husband accepted a new job and promotion with a new fire department, and 2016 became the year of the change for our family. New home, new job, and miraculously, the same job for me, although my job did have decreased benefits, increased insurance premiums and a reduced salary. In November of 2017 I finally received my pink slip, no surprise after months of charging my hours to overhead, and yet another company acquisition completed. When I left in November, the company I had started with as employee number 26 had ballooned up to over 300 people, and was back down to less than 50 people when I left. A few had left on their own, most had not. People had moved all over the continent to find jobs. Louisiana, Michigan, California, Colorado, Maryland, Canada, some had changed industries all together, and too many have been out of jobs since the downturn began. I know beyond a doubt that I am one of the lucky ones. While I no longer support my family at the same level I once did, I was not the sole income of our family, our family economics were always diversified, and we were not scared of both of us being laid off at the same time. Both my husband and I are natural born American citizens, so neither one of us require a visa to work here. His job supplies our family with medical insurance, and due to our forward thinking as the walls around me came crashing down at work, we have been able to stay afloat. Harvey did not impact us like it did so many others in Houston, and I was able to find a part time contract job with a small engineering company in Houston that allows me to work at home and avoid having to pay for child care. My boys and I survived our first summer ever with me as a stay at home (working) mom. I’ve had to learn how to cook, a task my husband had always taken care of, and so far, nothing I’ve cooked has made anyone sick. I’ve been home to make sure everyone gets to practice and games on time, uniforms are clean, homework gets completed, and I now know the joy of having them crash through the front door at the end of their school day, excited to be home, which is something I’d have never known if I’d stayed as a full time working mother. 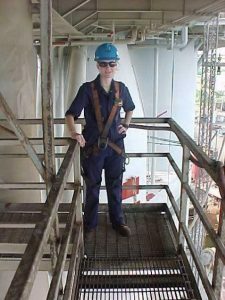 Engineering in the oil and gas industry was a wonderful way for me to support our family while we were expanding, the boys were young, and childcare costs were the most expensive. I don’t regret my days at work while my boys were babies and our family was growing. They were well cared for while I made many friends and learned about parts of the world I didn’t understand. I spent my days surrounded by geniuses as opposed to breaking up fights over matching socks, who gets to play with what toy, and the icing on the cake. For any mother of young children the icing on the cake was the ability to exist alone in my own personal space every weekday, even if it was in a cubicle. And now one year post layoff, after a good, though unstable career in oil and gas engineering, I’ve figured out what I want to be when I grow up. I spent 18 years many times as the only woman in the room, and now I will surround myself with women and help support them as their Doula when they have their babies and grow their families. A dream I would have never fulfilled and a chance I would have never taken for myself had the market never crashed.